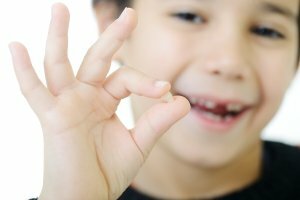 Tooth loss is a common problem seen by dentists, but it’s not unavoidable. There are many things you can do to prevent tooth loss and avoid the complications and inconveniences that come with it, such as needing dentures. Seeing your dentist serving St. Louis for regular check-ups is one of the most important things you can do to protect your teeth. These tips will also help. Start by sticking to a good oral hygiene routine every day. Brush your teeth at least twice and floss at least once daily. Talk to your dentist about using a rinse that can further protect your teeth, such as one that discourages gum disease. Avoid using your teeth to cut or tear non-food items or to open things like twist caps. Talk to your dentist if you have a chronic condition that could impact your oral health, like diabetes or hypertension, to find out if you need to have more regular cleanings. Eat a healthy diet that’s low in sugar and stop any tobacco use. Report any changes in your oral health to your dentist right away, as early treatment of dental problems is almost always easier and more effective.